In Dr. Murray's Total Body Tune-up, he writes, "When we're not exercising, it's the body's cue to more or less hibernate. 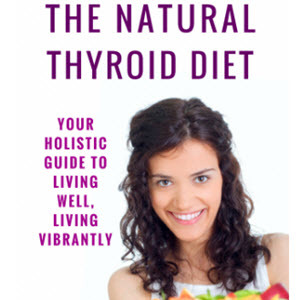 The thyroid gland is the major organ of metabolism and if you're not exercising your metabolism slows and, as a result, the thyroid gland starts functioning at a lower level as well." 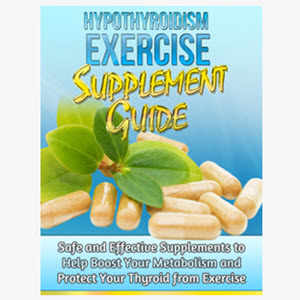 While most of the endocrinologists with whom I consulted for this book told me that there was no natural cure for hypothyroidism, they were all in agreement that a good program of exercise could help prevent thyroid problems and would certainly help to strengthen the effects of any thyroid medication. The reasons are twofold. First, hypothyroidism develops when several of the body's hormones are out of balance, especially estrogen, which inhibits the ability to convert T4 to T3. I have seen literally hundreds of men and women with thyroid problems improve dramatically when they began following my Fat-Burning Metabolic Fitness Plan because research shows that appropriate exercise helps to balance out the body hormonally. Douglas Daniels is an excellent example. He came into the program with undiagnosed hypothyroidism but began to experience significant results and a much better quality of life after two weeks of exercise, at which point he started taking thyroid medication. Second, we are looking at a "What came first, the chicken or the egg?" situation when we look at the metabolic condition of someone with hypothyroidism. A person who has developed an inefficient metabolism because he never exercises is setting himself up for hormonal imbalances. One of the main characteristics of someone with a sluggish metabolism is a lower than normal body temperature. According to the Consensus Report, enzymes are very temperature sensitive, as are other bodily functions. If a person is not metabolically fit—running the engine on cool, if you will— he or she will not have a proper hormonal balance. The less efficient thyroid function becomes, the less efficient metabolism becomes, creating a downward spiral. However, as Dr. Mary points out, once you develop hypothyroidism, it is very simple and inexpensive to take Armour Thyroid. Problems such as obesity, joint pain, depression, and chronic exhaustion make exercising harder. Finding relief from these problems can help a person to find the energy to stay on a good exercise program.